A week ago today I was saying my final goodbyes after a month long stay, conducting research, at the beautiful Lough Hyne (or Lough Ine, which is a marine lake) in County Cork, Ireland. Lough Hyne is Europe’s first marine reserve and has been the site of some of the first and longest running ecological studies ever conducted. Long before Lough Hyne was designated as a marine reserve, scientists have been studying the ecology of the lough. In fact, some of the first forays in underwater research were conducted in the Lough Hyne Rapids, named so because of the fast current and whitecaps through this narrow channel. As the story goes, Dr. Jack Kitching would climb into a suit with a fishbowl helmet hooked up to a tube that provided air. 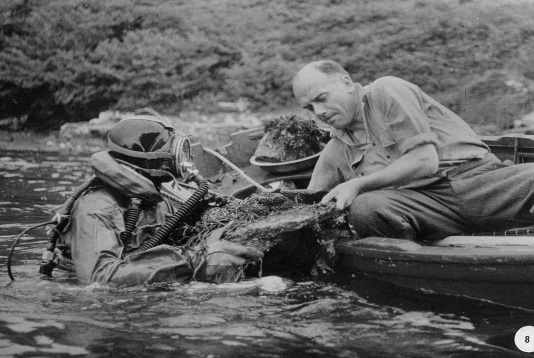 One lucky student would be tasked with pedaling the bicycle that pumped the air into his helmet, while Dr. Kitching walked underwater, through the middle of an area known as the rapids and would throw rocks up to shore for his other students to quickly catalogue the attached animals and algae. Lough Hyne ensnares almost every researcher that passes through. Biologists such as Dr. Colin Little, now retired but still conducting research, have been conducting research at Lough Hyne for over 30 years. Dr. Cynthia Trowbridge, first visited Lough Hyne for two days to assist a colleague; 3 weeks later she left with plans to return; 13 years later she is still researching the lough. What is it about Lough Hyne that is so captivating? I’m sure every person that visits the lough will give you a different answer, but for me and my many hats, Lough Hyne is a haven. 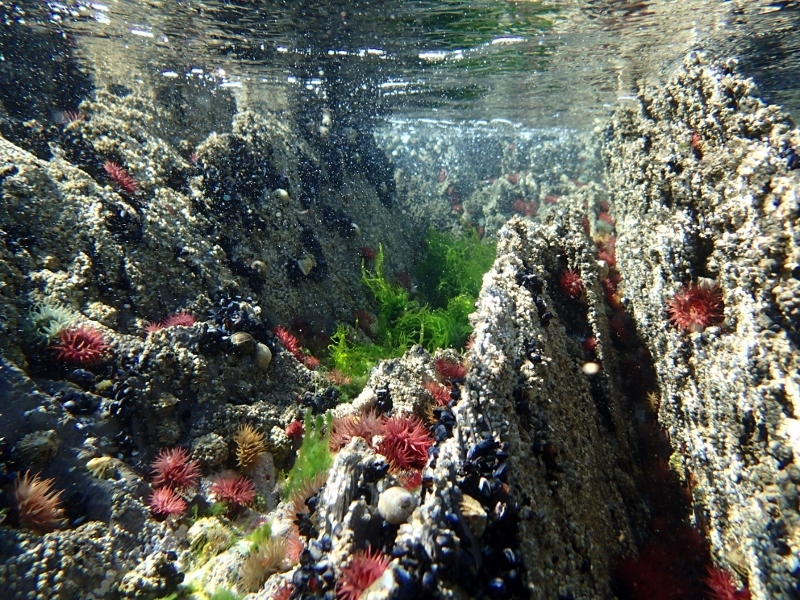 For the marine ecologist: The long history of research conducted at this site means there is a reference point when considering recent changes, such as introductions of new organisms (often referred to as “invasive species”). The researchers before me have created a rare road map. Fish swimming amongst a growing forest of the seaweed Sargassum muticum, recently introduced to Lough Hyne. For the daughter of a historian: Lough Hyne has a long and rich history both above and below the water. There is something very exciting about seeing the places you’ve read about. If you’re curious to learn more about Lough Hyne and student opportunities to conduct research check out the blog written by the students participating in the one month NSF program. You can read about our activities in and around the lough and if you explore other parts of the website you’ll find beautiful photos, and information about the NSF IRES program.